Folds for stow-and-go hole hopping. The Eskimo® Folding Ice Chair fills two important functions. 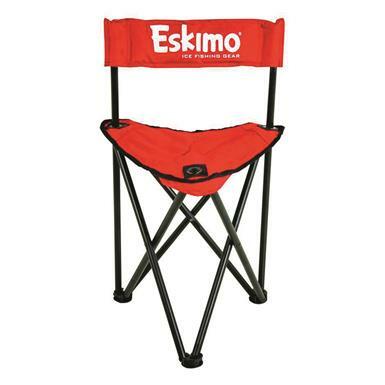 First, its ergonomic design and backrest make for a comfortable spot to sit while working for that bite. Second, its triangular folding frame is easy to open and close, keeping you light on your feet while on the move.